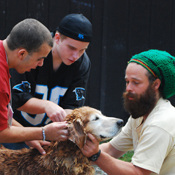 Programs are held throughout the year, and we invite members of the greater community to volunteer. 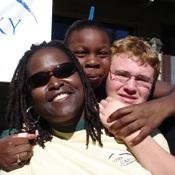 You will find that giving your time and energy to support the youth in Under One Sky is rewarding and habit forming! 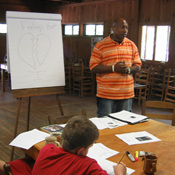 Teach workshops for five to seven youth during our weekend and/or weeklong camps. Workshops can be a specialty of yours, such as small engine repair, gardening, dance, writing, bookmaking, etc. We require that all volunteers go through an application process and background check prior to volunteering. 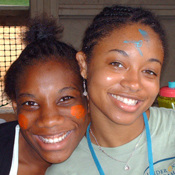 Please contact John McDermott, Program Director for more information on volunteer opportunities. 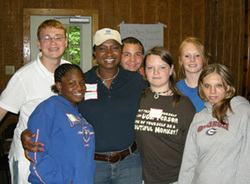 youth at Summer Camp 2006.